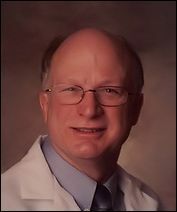 Patrick Quinn, MD Patrick A. Quinn, MD is board certified in obstetrics & gynecology. He earned his medical degree from The Ohio State University College of Medicine. He was a previously voted and a recipient for Physician of the Year at Lake East Hospital. His special medical interests include obstetrical ultrasound, high risk obstetrics, and minimally invasive surgery, laparoscopic surgery, including robotics, assisted vaginal hysterectomy, and advanced techniques for urinary incontinence. Dr. Quinn has two office locations and offers extended hours. Rosemary Brownlee, MD Rosemary R. Brownlee, MD is board certified in obstetrics & gynecology. She earned her degree from Wright State University in Dayton and completed her residency at St. Luke's Medical Center. Her special medical interests include teenage pregnancy, hysteroscopy, laparoscopic surgery, abnormal Pap smears, adolescent gynecology and general women's healthcare. Dr. Brownlee works in Mentor and Concord. Jennifer Velotta, MD Jennifer A. Velotta, MD is board certified in obstetrics & gynecology. 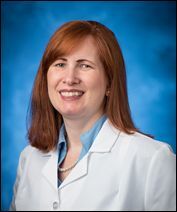 She earned her medical degree from University of Toledo College of Medicine and completed her residency training at MacDonald Women's Hospital of University Hospitals Case Medical Center. Her special medical interests include minimally invasive gynecologic surgery, high risk obstetrics, advanced laparoscopic surgery, teenage pregnancy and gynecology care, and abnormal Pap smears. Dr. Velotta has two office locations and offers extended hours. Alison G. Stalzer, DO Alison G. Stalzer, DO is board eligible and earned her medical degree from West Virginia School of Osteopathic Medicine. She is a Cleveland native and moved back after completing her residency at Charleston Area Medical Center. Her special medical interests include adolescent gynecology, high risk obstetrics and infertility. Dr. Stalzer has two office locations and offers extended hours. 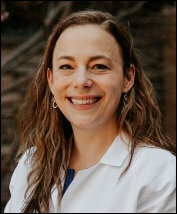 Kristen L. Eichorn, MD is board eligible in obstetrics & gynecology. 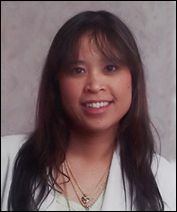 Originally from southwest Michigan, she earned her medical degree from Michigan State University of Human Medicine. She completed her residency training at Summa Health System in Akron. Her special medical interests include high-risk obstetrics, pediatric & adolescent gynecology, and minimally-invasive gynecologic surgery. Dr. Eichorn has two office locations and offers extended hours. 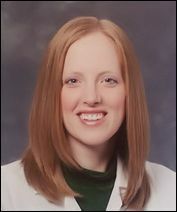 Rachel A. Weaver, MD Rachel Weaver, MD is board eligible in obstetrics & gynecology. 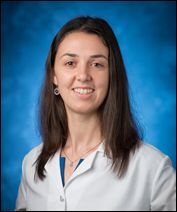 She earned her medical degree from Medical College of Georgia in Athens, Georgia and completed a residency in Ob/Gyn at SUNY Upstate Medical University in Syracuse, NY. Her special medical interests include women’s preventative health care, pelvic surgery and laparoscopic surgery, obstetric care and gynecologic contraceptive measures. Dr. Weaver has two office locations and offers extended hours.